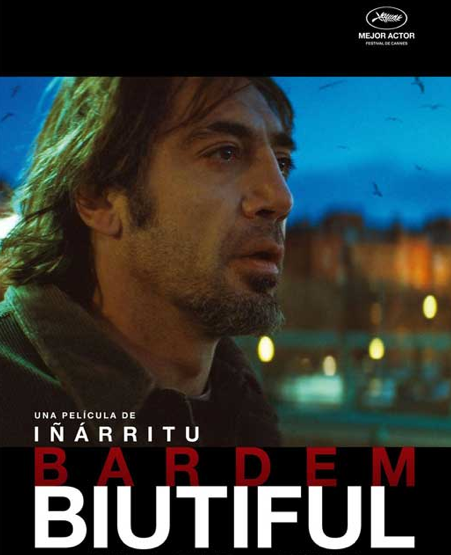 If you're like us and you bask in awe of the brilliance that is Javier Bardem, then you might be as excited to learn that today is the opening of the Spanish actor's latest film: Biutiful. Have a watch at the trailer as well as the red carpet premier in LA two weeks ago. The film is directed by Alejandro Gonzalez Inarritu--with movies like Amores Perros and Babel in his his artistic resume, this caliber of collaboration can only lead to one thing: critical acclaim. In fact, Bardem won Best Actor at the Cannes Film Festival this past summer, and the movie is also nominated for a Golden Globe for Best Foreign Film. The duo will make an appearance at tonight's Charlie Rose session to promote the project as well.